Opera stars are getting svelter, and so are opera houses. Where is this one? You know who designed it. Santiago Calatrava. It’s in Valencia, where’s he’s designing a new world. In the old world. Are we getting tired of buildings that screamingly call attention to themselves? If they’re going to do that they’d better be screamingly beautiful. I don’t know if this one is. 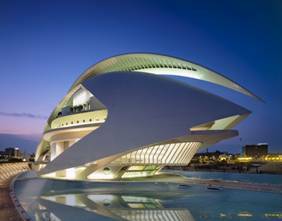 Calatrava already has a Planetarium and IMAX Theater and a Science Museum in Valencia, his native city. That one is screamingly beautiful! 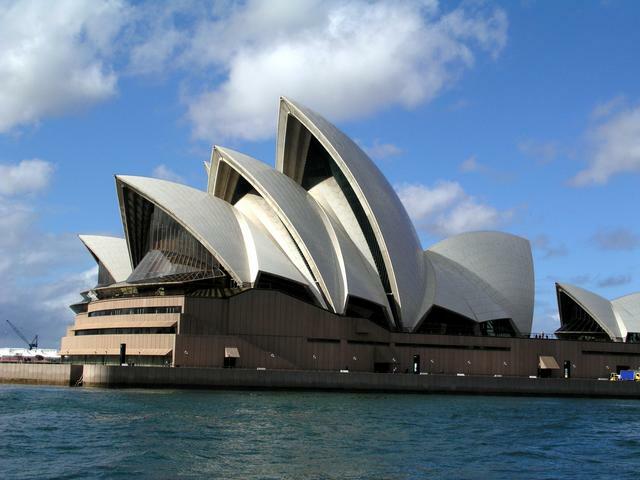 Though a bit of a rip-off of the Sydney Opera house. Which will always be the icon. 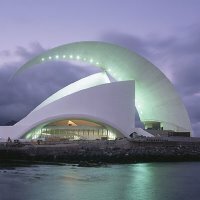 From the Valencia opera house press release: In 1991, the government of Valencia commissioned Calatrava to design this vast urban intervention (86 acres!) to bring coherence and life to a previously neglected area, and to provide the city with cultural facilities of national importance. Enlightened government? Some say the buildings don’t work very well. That they’re form over function. Santiago Calatrava’s Valencia Opera House is due to open October 25. When it opens, will Calatrava’s other buildings, the ones with wings that move, wave at it? You are currently browsing the archives for the Valencia category.